Credit: Flickr/DFID. Some rights reserved. For aid’s critics, however, ‘mixed results’ is a euphemism for badly designed, poorly-managed efforts guided by donor hobbies and flip-flopping policies that ignores the graveyards of failed programmes, the histories of waste, and the sometimes toxic outcomes of aid born of coercion and incoherence. China and Vietnam reduced poverty significantly with almost no Western aid, while aid-dependent countries like Malawi and Timor-Leste have fared badly—in which case why does the aid industry keep on prospering? To answer that question we have to look at the drivers and navigation systems at work upstream in the system where the captains of the aid industry confer. These drivers get little serious probing, but the knowledge we do have points to an inconvenient truth: the main systems of development aid chiefly serve the donors. The aid system colludes in redistributing wealth from poorer to richer. Under an aura of beneficence, aid is harnessed to self-interest. To buy goodwill from others or coerce them, aid provides a classic tool of statecraft. For the biggest donors it can buy votes at the United Nations, keep client regimes ‘onside’, punish troublemakers and open doors to powerful people. As a former senior US aid official put it, “Foreign aid … is like political campaign contributions: it can facilitate the access of those providing it to those receiving it.” Giving aid helps governments to look good in diplomatic forums while encouraging taxpayers to feel good about their generosity. In addition, ‘our security’ is at stake. Since 9/11 development and humanitarian aid has increasingly been subordinated to hard power aims—that is ‘securitized.’ European aid, for example, is now supposed to help curb irregular migration from Africa. Meanwhile, military doctrine and operations have become ‘developmentalized,’ complementing older practices in which aid lubricates access to strategic assets as in Kyrgyzstan, where western aid was exchanged for use of an airbase serving NATO operations in Central Asia. Boosting exports and investments are major objectives of aid providers. A scholarly consensus, backed by many studies, holds that the mercantile interests of aid givers usually enjoy priority over the interests of aid recipients. For donors the pay-offs are many. For example, for every €10 the Dutch provide in bilateral aid to an average recipient country, Dutch exports to that country increase in the short run by €7 to €9. In the longer run, as goodwill and force of habit take hold, aid-induced sales then become even more lucrative. In the period 1988-2004, each dollar in Western bilateral aid yielded 2.15 dollars in additional exports of goods and services by Western businesses. Donors use aid to gain footholds for their industries, like Japanese fishing fleets in the South Pacific, French uranium mining in Niger and oil and gas companies in emerging producers of hydrocarbons. Aid providers work assiduously to lower costs and risks for their business investors using subsidies like low-cost loans, insurance and market advice. In recipient countries they add to physical infrastructure and occasionally skilled-up workforces. But the aid system’s most powerful contributions involve the transmission and enforcement of ‘sound policy’, meaning policy that is suitable for investors.The formulas are well-rehearsed: sell-offs of public property; weaker protection of labour rights and environmental safeguards; and taxes shifted from foreign flows to domestic sources. Under the World Bank’s ‘competitive cities’ approach, municipalities are pushed to compete for outside investment by offering tax ‘sweeteners’, land and other subsidies. With the rise of financial sector power, donors have facilitated the growth of stock markets and hot money flows. Key to these investor-friendly climates has been austerity—driving down public spending in recipient countries. Acting almost as bailiffs, donors also help to extract payments to big pharmaceutical and software firms who own patents, copyrights and other kinds of ‘intellectual property.’ In the years 2012-2015, sub-Saharan African countries together paid about $10 billion to these private interests, up from about $8.7 billion in the years 2007-2010. But because rich country tax laws allow firms to hide profits, these World Bank data may actually understate the true scale of extraction. Consistent with their promotion of rent-seeking from ‘intellectual property’, donors show almost no interest in curbing cartels and other anti-competitive practices by transnational firms. Research is scarce, but it points to massive losses for poorer countries. One study estimates that annual losses are equivalent to at least 50 percent, and could equal as much as 300 percent of aid disbursed. Donors have also invested in knowledge, but gains can flow back disproportionately to themselves. Aid for the ‘Green Revolution’, for example, helped boost crop yields in poor countries, but major beneficiaries have been western agribusinesses. Up to the early 1990s, estimated returns to such firms were forty times the amount of aid paid out originally by the US for research and development of the ‘Revolution’s’ higher-yield technologies. Contrary to the belief that aid-financed programmes target diseases that mainly affect people in the tropics, research shows that “development aid is intended to alleviate the threats to populations within the donor state.” And since the 1960s, foreign aid has brought hundreds of thousands of students from poorer countries to study at universities in Europe and North America. Today, student fees and expenses annually absorb more than $3 billion in aid—virtually all of it spent in donor countries. Where the longer-term benefits from aid-funded scholarship programmes go isn’t known with much precision, but there is some evidence that former scholarship holders from Africa tend to stay in richer countries, or to work abroad in Western firms and other organisations. In sum, poorer countries routinely put more resources at the disposal of donor country interests than they receive in foreign aid, yet it isn’t easy to demonstrate this inconvenient truth conclusively. 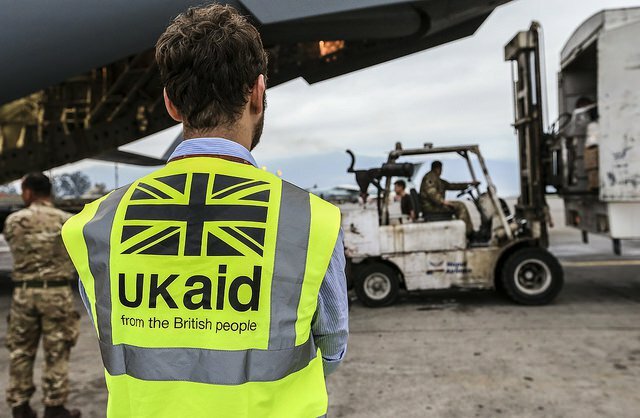 Estimating the extent of the aid system’s collusion in ‘perverse’ aid is often guesswork because the system’s upper reaches lack transparency. Laws, rules, political agreements and sheer inattention shield many counter-flows from public view. Every year, thousands of evaluations of aid’s ‘downstream’ activities take place but I know of no formal evaluation of aid mechanisms ‘upstream’ that would indicate with precision who benefits and by how much. In 1943, at a time of enormous human suffering, one of the 20th century’s greatest activist-philosophers, Simone Weil, wrote about the characteristics of practical compassion for others. She insisted that help must be concrete and authentic: “All human beings are bound by identical obligations, although these are performed in different ways according to the circumstances…. The obligation is only performed if… expressed in a real, not a fictitious, way.” Today, in framing debates about obligations across borders, that plea has lost none of its relevance. It calls for lucidity, and hence the rejection of pseudo-solutions promoted through the foreign aid system. Activists, academics, journalists and NGOs in a number of fields are already focusing on counter-flows and the legal gimmicks and non-transparency that promote them. Although based outside the mainstream aid system, these initiatives are getting respectful attention from some donors, notably in Norway but also in a few knowledge centres of the United Nations. A prime example is the movement for tax justice.These combined efforts have begun to pay off as better tax enforcement and new rules yield more revenues for public purposes. Meanwhile a bloc of non-Western governments at the United Nations led by Ecuador is pressing to create a global tax body. A system of global taxation won’t be with us soon, but as this idea gains traction it may open up a pathway towards an authentic system of redistribution across national borders. In so doing it could help to replace today’s machinery of upward redistribution, re-build decent social contracts, and ultimately sideline foreign aid as we know it.